Home » All lifestyle » Mercedes fan? Sport isn’t generally known for being stylish but Formula One is the exception. This is only to be expected for the series that travels to some of the most wonderful, glamorous places in the world. Motorsport is no longer associated with greasy, dirty overalls and smelly fumes – today, racing has style. Even the mechanics are impeccably turned out and have you seen those garages? They are more like operating theatres. It’s great when new teams enter the sport but many of us have a fondness for the traditional teams such as Mercedes AMG and Ferrari. there’s something special about those teams that were battling it out on the track so many years ago-often before we were even born. And the Mercedes team has certainly stood the test of time. Starting in Formula One in the nineteen fifties, the Silver Arrows saw great success in those early years. After the Le Mans disaster of 1955, Mercedes Benz withdrew from racing, despite having won two championships. But the famous marque was back in 1994, as engine suppliers in conjunction with Ilmor (who remembers them these days?) and for the last few years Mercedes have firmly been back, showing their superiority on the track using the team name Mercedes AMG Petronas. As a designer, I love the current colour scheme they use in their brand; silver, greys and the distinctive splash of aqua. And what’s wonderful is that there is an excellent ranges of Mercedes products at Amazon – they are available to us all. Many of the items are clothing – suitable for men and women – such as the polo shirt you see here. I’m old enough to remember when motorsport t-shirts were pretty tacky and not well-made but it’s very different today. 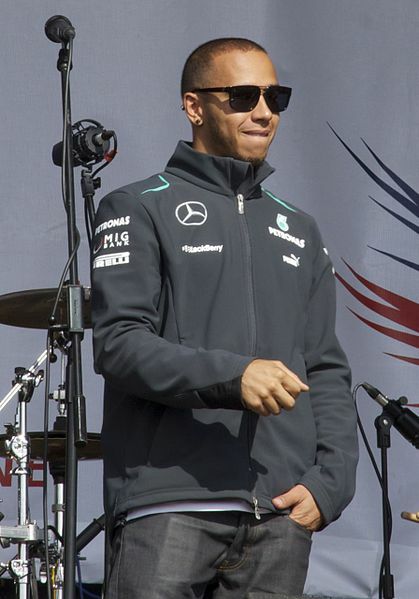 In many cases, the clothing you’ll be wearing is exactly the same as that worn by the team members themselves and let’s face it, everything in Formula One is high quality. If you have a Mercedes fan on your gift list there are plenty of great goods to choose from. These items make great gifts for the Mercedes Formula One fan and it’s not all clothing. I particularly like this leather keychain. There are also some fabulous model cars – perfect in every details- that are wonderful decor items for the home but also make splendid desktop decor for the office. 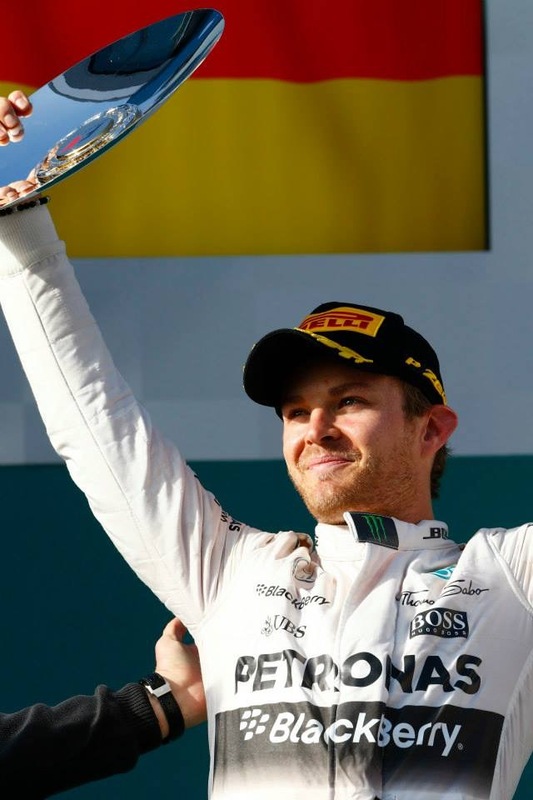 The 2014 Formula One season was memorable for the way the two Mercedes drivers were in competition for the world championship – Nico Rosberg would edge into the lead, only to have Lewis Hamilton overtake him on points at the next race. There was plenty of hair-raising over taking on the track too as the two drivers battled it out head-to-head. This memorable season has been commemorated and described in full in the book you see here. Relive every moment. The rivalry was pretty hyped up the media which made the situation even more intriguing. When you have a situation where team-mates are also close rivals, it’s bounds to cause incident – and we certainly saw plenty of that during the 2014 season. 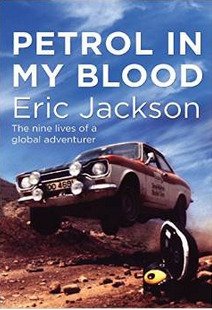 For those who are interested in the Mercedes marque itself, I’ve added a selection of books below which are a must for the bookshelves (or Kindle) of the Mercedes enthusiast or those who simply appreciate fine vehicles. There’s also a fascinating book about the tragic events of the 1955 Le Mans race that made Mercedes withdraw from motorsport. But first, let’s look at a video of the now-legendary battle between the two Mercedes drivers in the 2014 season.